Walking into the Park Lane Hotel for afternoon tea is like taking a sip of a bygone era when life did not expect us to multi-task. A time when you were greeted at the entrance with a smile and politely guided to your seat. Today the patrons walk in wearing casual clothes rather than the formal afternoon outfit of yesteryear but they are still served with the quiet respect of a cherished patron. 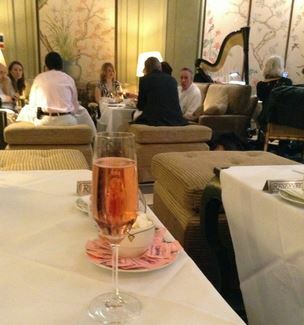 You are asked if you would like a glass of sparkling rose as shortly after you have settled into the plush seating. I have to admit to being a conservative eater and as I age I am inclined to try fewer new foods and to stay with the tried and true tastes I ha e developed over the years. A few sips of the bubbly on this afternoon and I was ready to become adventurous. And I was not disappointed when I stepped out of my comfort zone and bit into miniature sandwiches made of ingredients that I would not think of combining. The sandwiches may have been miniature but they were heroes in the taste department. In fact they would have been overpowering in a larger version. They were a size that was to be savoured rather than devoured. And if the flavours were not enough to make you take a deep breath of absolute bliss then the presentation was a gift for the eyes. These were not a plate of white, crustless finger sandwiches but creations made with as much thought put into the bread or miniature bun as was put into the filling. Creatively laid out on the plate with an eggshell filled with rice and mushrooms over a base of brûlée centred on the plate this was a display to delight both the eyes and taste buds. 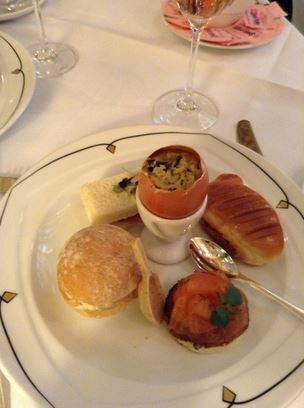 The sweet tray rivalled the savoury tray in tantalizing the senses. Be prepared to have your partner suggest that each sweet be shared so each of you could get a taste of all four offerings. I would suggest you take them up on their offer so you do not regret that you did not get a taste of that one piece that you did not think you would and then changed your mind when you saw that look of pure pleasure on your partners face. The mention of afternoon tea brings to mind scones. Scones brought to the table wrapped to keep warm on the bottom tray of the dessert tray. Four small pots of four different toppings for the scones are placed on the table and you find yourself wondering if your are going to be able to find the room for these delectable tiny morsels. They are miniature scones and you should be able try each of the three flavours without feeling overly stuffed. The toppings are your chance to dabble in the art of blending flavours and be bold in your choice of mixtures. A Thorntons experience wouldn’t be complete without that personal touch, which is why every guest will receive a personalised iced chocolate tag to take home. 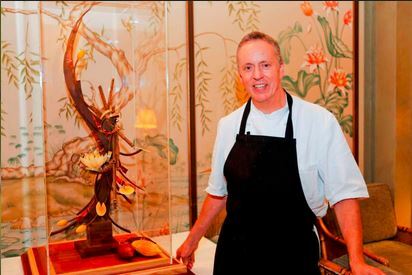 Guests will also be able to catch a glimpse of a magnificent, giant chocolate sculpture created by Keith Hurdman, which will take pride of place in the luxurious surroundings. Sounds fabulous. Did you mother enjoy it? I have booked!, cant wait! AWESOME! You are absolutely going to love it! It was a pleasure to share the afternoon with your Mother. Such great company and what a fabulous tea. May have to book a return visit before it ends. 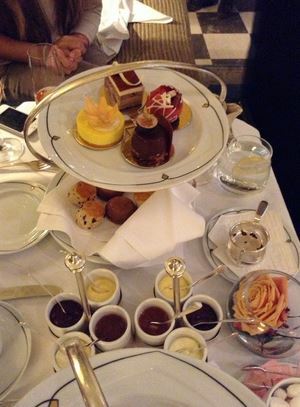 It was very, very good indeed.Its been a long time since I have had such a good afternoon tea.